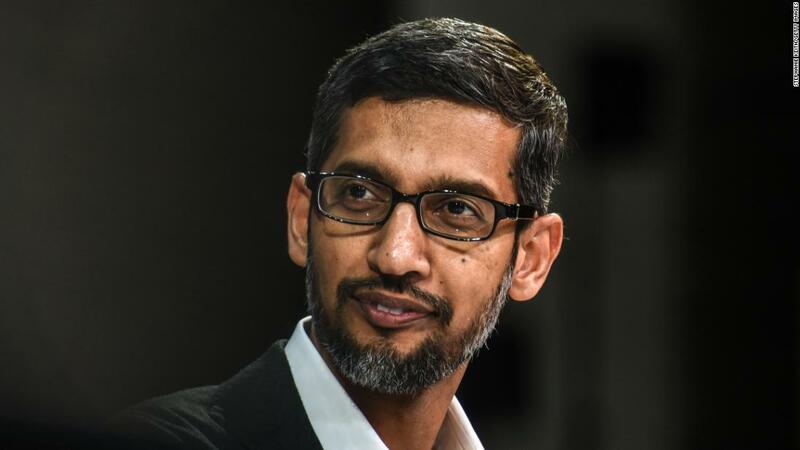 Pichai is scheduled to appear before a committee of the US House of Representatives, where he will likely face Republican questions about the search engine giant's bias or unwillingness toward conservative users. "The hearing will examine potential biases and the need for greater transparency regarding the filtering practices of Google's technology giant," said the House Judiciary Committee in a statement confirming the "no-go". hearing, which was announced for the first time Tuesday night by the Washington Post. In a statement, House Majority Leader Kevin McCarthy cited anonymous information suggesting that Google "may not exercise its vast power impartially". McCarthy added, without citing any evidence, that Google's "business practices may have been affected by political biases". A Google representative declined to comment on Pichai's next testimony. The House Judiciary Committee, chaired by Republican Bob Goodlatte, held hearings throughout the year to determine whether technology giants were biased against the Conservatives. Twitter CEO Jack Dorsey was the last major technology figure to appear before the committee at a hearing in September. Often, citing no real evidence and failing to grasp the fundamentals of the operation of various technology companies, Republican members of the committee have already allowed hearings on the issue to drift into conspiracy waters. Republican representatives on the committee cited marginal media outlets to blame technological companies for political bias. They also invited pro-Trump social media personalities, "Diamond & Silk" to testify at an audience, without preventing them from peddling a significant amount of false information. Google had previously refused to make Pichai available for a hearing before the Senate Intelligence Committee, even though Dorsey and Facebook operations managers, Sheryl Sandberg, were present.